We are very grateful for the many positive reviews and constructive feedback we receive from our guests. We certainly aim to maintain the high scores and have plans to improve things like our Honesty Larder (what normal hotels call a “minibar”). 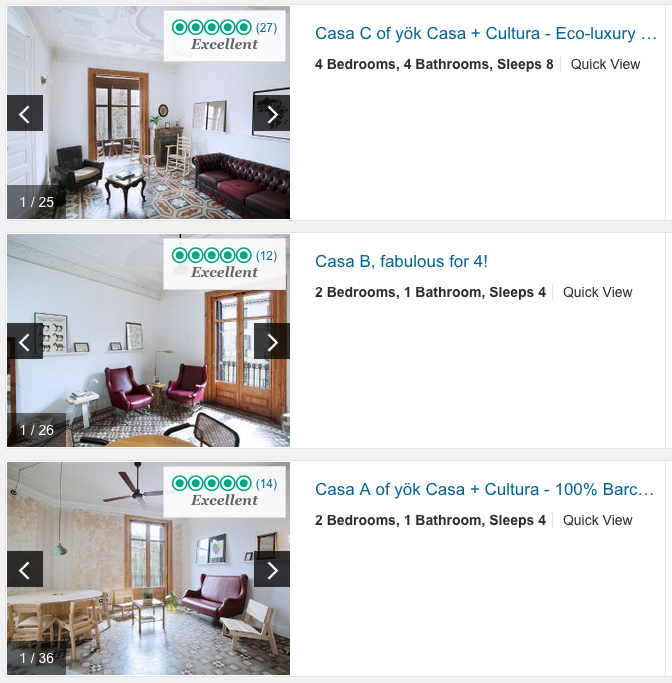 We believe that, apart from cleanliness, accuracy in photos and apartment descriptions, and easy communication, it is necessary to offer guests somebody real to talk to when they arrive in Barcelona. Due to the unfortunate increase in mass tourism in our city, it is now more important than ever to be able to be in touch with someone who can share the real city with you. Unless you have friends or family in Barcelona, it can be tricky to find the authentic spots and know your way around the more touristy areas. That is the part we love about our job: share the places of the city we enjoy most with people who are interested in getting to know the real local culture. That, and having meaningful conversations about anything from independence to where to get the best coffee or rumba catalana, to sustainability, design and travelling in general. We guide you now to the different places to see what guests say about us, and pick one of our favourite comments from each platform. However, we advise you to book with us directly should you choose to stay with us. Here is why! Airbnb made us a Superhost! 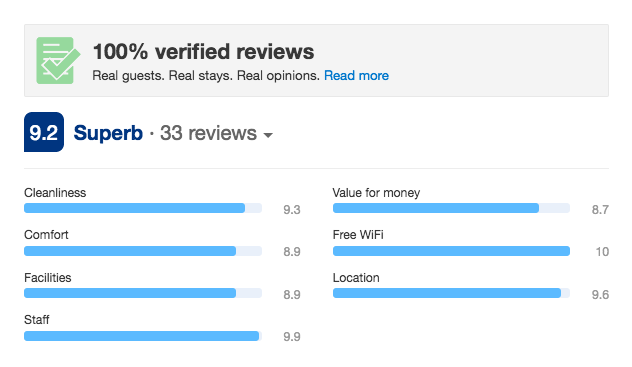 So far we collected over 150 reviews, of which 90% have given us the full five stars. On average, we score 4,9. One of our favourite reports is from Giuseppe in Ragusa, Italy. He and his friends stayed in Casa A in July this year. This other comment is from Drew who stayed in Casa C with his work colleagues, also in July this year. Petz is a wonderful host! The apartment is well-designed with thoughtful touches (bathroom for each room, well-stocked larder with good wine) and they provided a lovely breakfast on the roof. We hope to come back. Thank you everyone who took the time to review us on Tripadvisor and rate us so highly. Visit us on Tripadvisor to read or rate us! The comment we choose is from Colleen in Australia, who visited us with his family in the summer 2017 and stayed in Casa B.
Catalan Calling. Every now and then we unearth a real gem on our travels. Yok is hard to put a label on. Part hotel, part apartment, it is the perfect base for a very rewarding stay in central Barcelona. Completely hidden within the imposing façade of a c1900 Catalan modernist corner block the 3 self-contained casas were created during an extensive recent renovation. Original features were maintained and complemented by a wonderful collection of vintage, re-purposed and hand-crafted fixtures and furnishings. We felt truly at home here. Owner-operators Mari and Petz are serious about sustainability, design, hospitality and the true Barcelona. Our morning chats with Mari over a typical Catalan breakfast on the rooftop terrace were a highlight. A passionate Barcelonina she generously shared her insights making for a very rewarding few days in the Catalan capital. Mari’s recommendations were really appreciated – from where to buy a good loaf of sourdough, eating out and Bar Pinotxo – what an amazing experience. We have managed to keep a 9+ score ever since we started with them. On our Facebook page you can find more reviews from previous guests. 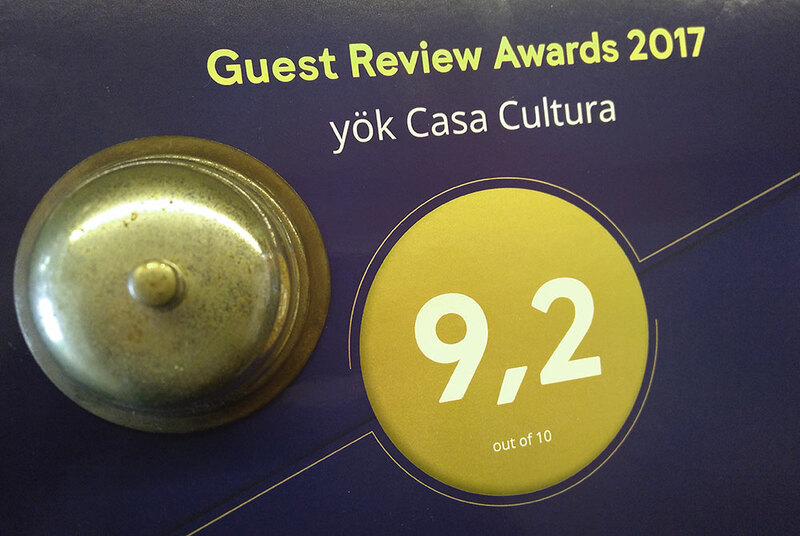 We assure you that all our reviews are real, from real guests that have stayed with us at least for 2 nights. Please contact us if you are still in doubt or check out the advantages of booking with us.